Newcomer Family Obituaries - Arnold E. Smith 1924 - 2019 - Newcomer Cremations, Funerals & Receptions. 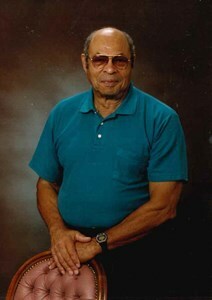 Arnold E. Smith was born on May 22, 1924 in Columbus, Ohio and departed this life on Wednesday January 30, 2019. He was the oldest of three children born to Carl and Rachel Smith. He was the brother to Charlotte Pryor and Reuben Otis Smith. He was a loving father to his two remaining children, Cassandra J. Richey, and Kenneth A. Smith; an amazing grandfather to his grandchildren, Toyya R. Glanton, Tinnecha S. Richey, Candace J. Bell, Secoyya Smith, Samuel Smith, Dwayne McGrapth, Kenny Smith Jr., Damon Smith, and Eric Smith; and devoted great-grandfather to Armad, Shawn, DJ, Deazia, Alaya, Meisha, and R.J.
Add your memories to the guest book of Arnold Smith. My deepest condolences to you and your Family. Thank you for sharing such fond memories of you and your Dad. What outstanding care and love you gave him. Hold on to God's right hand (Isaiah 41:10) during this difficult period.... He will help you. I would like to express my sincere condolences for your family’s loss. May the “God of all comfort” be with you, providing the peace of mind and comfort you need, during this difficult time (2 Corinthians 1:3;4).